Deep down inside, most of us really want this world to be a better place, one with less suffering and more happiness. Truth be told though, very few of us actually have a plan, and even less have an idea how to go about it. After all, it does feel like a hopeless and impossible task, something virtually none can actually achieve... a pipe dream for us all. At the same time though, we still realize that there would be no other way of enacting such dramatic changes; each person must play his or her part, regardless of what they believe others to be doing. We feel a bit silly after doing so, but many of us have more-or-less wondered, on a couple of occasions at least, whether we are living a lie and the reality surrounding us is completely different from what we imagine it to be. Basically, we sometimes wonder whether or not we are insane... after all, if we were, the chances that we'd notice aren't exactly inspiring. Thankfully though, most of us have relatively simple and stable lives with entrenched realities that leave us rather confident of our abilities to distinguish between the real and imaginary. However, as Andrew E. Kaufman explores it in his latest novel Twisted, there can come a time when one is forced to confront and review their own life, an event which can shatter our preconceptions of our past and change everything. We like to imagine the time of rapier duels and noble swashbucklers as being clean and orderly, with even the ugliest of court intrigues having a dose of class and finesse to them. Contrary to our rather idealistic imagination though, the people of those times were still just as prone to bigotry, violence, hatred, corruption, greed and everything that comes with those. It is in this, more accurate version of reality that Sebastien de Castell has chosen to set his first book, Traitor's Blade. "He who seeks vengeance must dig two graves..." This Chinese proverb is rather well-known and its point has been made across countless stories in the world of literature. The character who desperately seeks vengeance and dedicates his life to it nearly always ends up drenched in death and alone. While many characters seem to have a choice in the matter, Don Winslow's DEA agent Art Keller doesn't really have one in The Cartel . To sum it up as briefly as possible, Keller has been fighting the war on drugs for decades, always clashing with the ruthless Adan Barrera, the leader of the world's most powerful Cartel. Over these years Barrera murdered Keller's partner and this pursuit for justice cost him the life he cherished so much. Unfortunately, it seems the efforts were for naught as Barrera is released from behind bars, hell-bent on rebuilding the empire he had. Unwilling to let such an injustice go unanswered, Keller heads out on a ten-year journey of vengeance, one that takes him across continents, cities, mountains and deserts, all in search of that one inevitable moment of reckoning between the two. The hunt for power is one that has beckoned men since the dawn of time, and we've been seeking it through every method imaginable, from ritualistic incantations to overt to displays of power and violence. Many are seeking to transcend the human condition and elevate themselves above it, perhaps even becoming something akin to a god. So far though, it seems that most of our efforts have been in vain, something the realm of literature has sought to fix, as did Scott Hawkins in The Library at Mount Char. Welcome back, ladies and gentlemen, to the seventy-fifth outing of Gliding Over the World of Literature where we never run out of insightful news to share with our readers. In today's excursion in the domain of books we will begin by checking out Stephen King's rather strong and well-argued opinions about gun control laws, a pressing topic in the United States. Following that we will take a detour into the past and explore Alice in Wonderland's bizarre and complex origins. Finally, we will end things by checking out the sights in store for us at the London Antiquarian Book Fair. We all know that one person in our circle of friends or acquaintances that tends to be somewhat troublesome, with a real knack for getting themselves into sordid adventures. And that is a fortunate turn of events, for as it happens these people often need the help of their more level-headed friends to untangle some situations. That's exactly what happens in Skink – No Surrender by Carl Hiaasen, as the cool Richard goes in search of impulsive cousin Malley who ran away with some random guy she met on the internet to avoid being sent to a public school. The lives of musicians are known mostly for their turbulence, and as tradition goes, the greater their fame the grander the story. Pete Townshend is one of a kind when it comes to having adventures both on and off-stage, and I believe it is to our great benefit that he published his autobiography, Who I Am: A Memoir at the tender age of sixty-seven, rather than the intended twenty-one. Those who know his name probably recognize Townshend as the guitarist from the legendary rock group The Who, but the truth is that he was much more than that... some would argue that he is one of those people whose character and life eclipse the achievements of others. What exactly did he accomplish in the few decades he spent on Earth so far? Just to name a few things, he was a composer, a fiction writer, a sailor, heard the voice of God while in a vibrating bed, invented the concept album, hit Abbie Hoffman in the neck with his guitar, jumped into a pool from a balcony and almost died, overdosed on nearly every drug known to man, and hated Elvis. I believe that any life which that list of accomplishments can review deserves its own place in literature. It would be safe to bet that the dream of flight is one that has been stuck in people's heads ever since the first bird was witnessed, God-knows how many thousands of years ago. The attempts to conquer the skies were numerous throughout history, and sometimes downright hilarious (the Chinese rocket chair by Wan Hu, for instance). 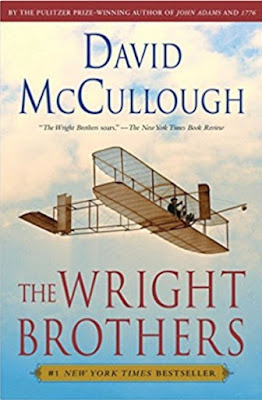 Ultimately though, our ceaseless efforts culminated in the creation of airplanes not too long ago, with the Wright brothers making the first of them. The idea that parents shape their children and are to some extent responsible for how they turn out is older than time itself, a common truth that has been observed through and through, needing no review and leaving little doubt in anyone's mind of its truth. Nevertheless, properly raising a child is much easier said than done and countless people forget that what they do their children will continue to matter for the rest of their lives. In God Help the Child, Toni Morrison explores that idea with the power of literature through the story of a dark-skinned young woman named Bride who found herself rejected by her own light-skinned mother. Though this turn of events led Bride to become an independent, rather capable and successful person, it also deprived her from experiencing the most basic forms of human kindness and love. Feeling incomplete, she embarks on a curious journey in search for some form of inner peace, love and a way to burst out of her cocoon where her emotional growth came to a halt. 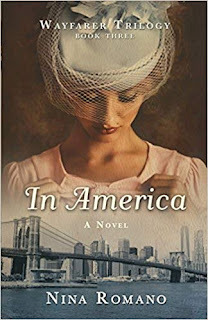 She comes across a number of characters holding different teachings for her, including a man named Booker she falls in love with, her own mother ironically-named Sweetness, and a strange little white girl with whom she holds a bizarre connection. The subject of space exploration in literature has taken us to incalculable depths, all plucked from the gold mine that is human imagination. When a book takes us into outer space, we often think of the Earth as ground zero, the starting point for the great journey, the home we've left and can always come back to, where everything makes sense. However, as Neal Stephenson so acutely demonstrates it Seveneves, our big blue home can easily become the most alien world we can think of. The idea of death is one that is omnipresent and omnipotent, governing over the entirety of our world and sparing none from its eventual touch. We try not to think about it and take it one day at a time, but the thoughts linger in the back of our minds, and we know the day will come when we must come face-to-face with the reaper, whether he is coming for or a loved one. When we are presented with evil characters in literature that have clear, practical motivations, no matter how ridiculous they may be, there is a certain sense of comfort; after all, it means they could perhaps be bargained with, reasoned with, and broken down. The truly terrifying villains, perhaps both inside and outside of a book, are the ones who seem to not only be morally-bankrupt, but causing evil for the mere sake of perpetuating it. A review of their motives simply causes one to gaze into the abyss. There are those who take pleasure in dismantling people's lives and taking away all they fought so hard for, all the security they believed they had, and that's exactly the kind of villain we are dealing with in The Stranger by Harlan Coben. Ever since the human being has noticed that individuals differ from one another, we've been striving to classify, label and identify ourselves as part of groups based on certain traits. It feels like with the advent of social media the sudden urge has appeared in people to sort themselves based on finer and finer criteria. For instance, many see the various makings of their identity – such as one's career, the school they attended, food preferences, weight, hair color...etc...etc... – as being good criteria based on which they can classify themselves. A while ago, we mostly made due with skin color. Water: the essence of life. While at first sight the Earth seems to be more than abundantly covered in it, countless people on Earth find themselves struggling against thirst and mother nature's consistent droughts. In the back of our heads we may know the day won't come very soon, but we still fear the moment when water becomes scarce for all of Earth's citizens. Will the world devolve into utter chaos like many works of literature predict? Sadly, even fictional characters must one day meet an end, but it is always more inspiring when it happens at the hands of their makers, something Agatha Christie understood rather well, having penned the final acts for both Miss Marple and Hercule Poirot many years before retiring them. She gave it all to bid them a worthy farewell, and it was most certainly enough, at least in Miss Marple's case as she was called upon to solve the perfect assassination in Sleeping Murder.